H.E. 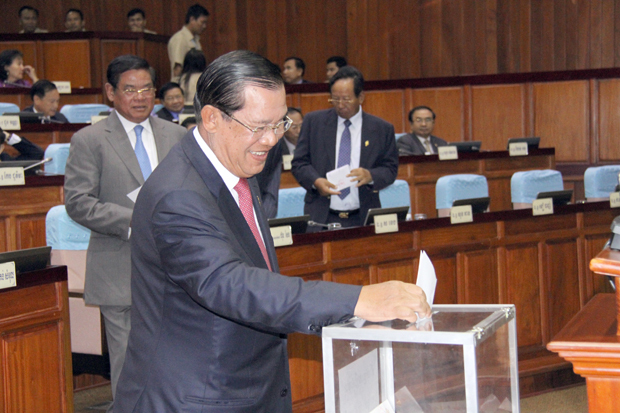 Kem Sokha, Vice President of the main opposition Cambodia National Rescue Party (CNRP), has been elected as the first Vice President of the National Assembly (NA), while H.E. 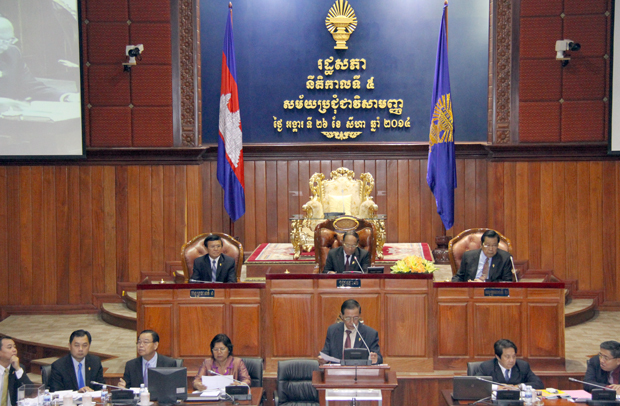 Nguon Nhel from the ruling Cambodian People’s Party (CPP) as the Second NA Vice President. The election was conducted in an NA’s extraordinary session held here this morning under the chairmanship of NA President Samdech Akka Moha Ponhea Chakrei Heng Samrin, and attended by Samdech Akka Moha Sena Padei Techo Hun Sen, Prime Minister, and Vice President of CPP, and H.E. Sam Rainsy, President of CNRP. 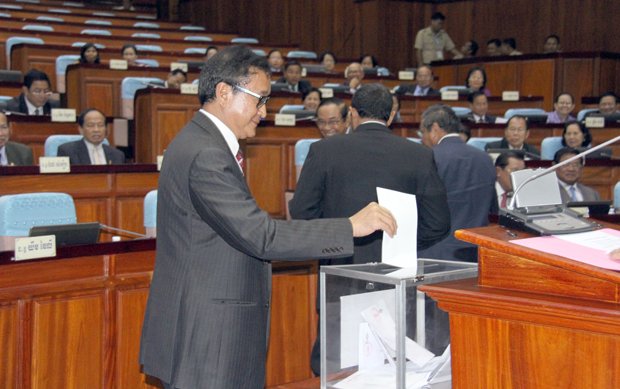 In addition, the 122 lawmakers who were present at this morning’s session also voted to replace and fill in for members of three NA commissions, including the Commissions on Human Rights Protection, Reception of Complaints, Inspection, and National Assembly-Senate Relations; on Economy, Finance, Banking and Audit; and on Planning, Investment, Agriculture, Rural Development, Environment and Water Resources. Heads of the other seven commissions – on Interior, National Defense, and Public Functions; on Foreign Affairs and International Cooperation, Propaganda and Information; on Legislation and Justice; and on Public Works, Posts, Telecommunications, Industry, Mines, Energy, Commerce, Land Management, Urban Planning and Construction; on Education, Youth, Sports, Cult Affairs, Culture and Tourism; on Health, Social Affairs, Veterans, Youth Rehabilitation, Labor, Vocational Training and Women’s Affairs; and on Investigation, Clearance, and Anti-corruption will be voted for tomorrow. H.E. Sam Rainsy told reporters after the session that this is the result of the political agreement reached by CPP and CNRP on July 22, 2014.